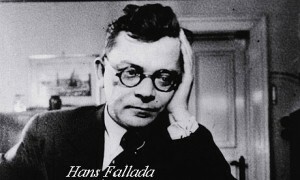 Finished ‘The Drinker’ by Hans Fallada, a first-person narrative and semi-autobiographical portrait of an alcoholic who ends up in asylum with his life (a bit like Germany itself) in bits. The obsessiveness of the main character, Erwin Sommer, somehow reminded me of the struggling writer character in Hamsun’s ‘Hunger’ but I don’t know why. There is one awful scene where Sommer slips into a TB ward, secretly collects the highly contagious sputum which the patients have expectorated into flasks and drinks them down in order to expedite his death and his freedom. Fallada himself died of a morphine overdose in 1947 before the publication of this book and the superb, ‘Alone In Berlin’ (also published under the title ‘Everyman Dies Alone’). 4th December. Wrote feature for the Andersonstown News about the double standards of the British in regard to the repatriation of prisoners. 27th November. Wrote feature for the Andersonstown News about my attempts to secure a visa for the USA. 25th November. Finished reading, ‘A Long, Long Way’ by Sebastian Barry, a novel set during WWI, at about 2 this morning and I have to say I found it disappointing in comparison to ‘The Secret Scripture’. I was not engaged at all, could never get fully engrossed, and despite being sympathetic to the soldiers historically I wasn’t convinced by Willie Dunne, the main character, his father’s reaction to his son’s mixed reaction to the killing of the 1916 rebel, nor that the army censors would have allowed a damaging letter to be sent to Willie’s girlfriend which caused her to break off their relationship and get married while the hero was away in Flanders. Everyone else who has read it has been overwhelmed and the book was shortlisted for the prestigious Booker Prize in 2005 but it didn’t do it for me, perhaps because I read it just after finishing a powerful novel, ‘A Walk On The Wild Side’ by Nelson Algren. 23rd November. Interviewed by Aaron Edwards, Visiting Research Fellow in Politics at Queen’s University, who is researching the British Army’s information policy in the 1970s and 1980s and the connections between British military operations and political approaches in the colonial contexts of Palestine, Malaya, Kenya, Cyprus, Aden and the north of Ireland. 20th November. Went with Gerry Adams to the funeral of Steve McDonogh in Dingle, County Kerry.